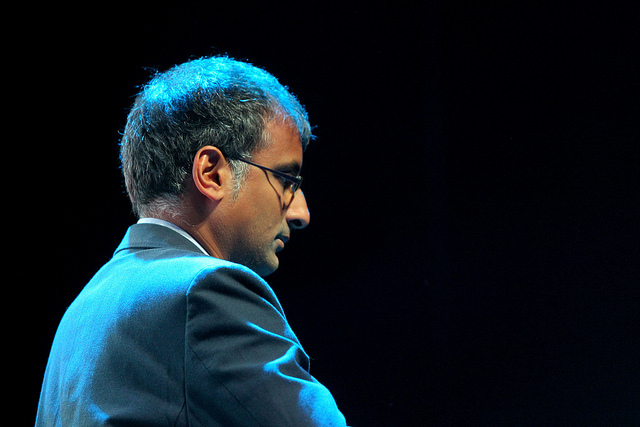 Akshay Venkatesh, 2018 Fields medallist, began his Bachelor’s degree at age 13 and by the age of 20, had completed his Ph.D. at Princeton University. “When I was around 7 I had this spiral notebook and I started to write down all these binary numbers,” he recalls. The father of two juggles his brilliant career and family life. “In math, we tend to be obsessive. It’s good I think to be forcibly stopped. Children are really good at shutting off your attempts at doing anything else,” he jokes. The Stanford professor is currently at the prestigious Institute for Advanced Study, an institution that has dominated the Fields award since its inception, with more than half of the medallists having been affiliated at some point. Born in New Delhi, India in 1981, raised in Australia, and a resident of the United States of America, Venkatesh took home the most prestigious award in mathematics today for his work in Number Theory. He uses ideas in dynamics to solve problems in number theory – an abstract area that until the late 1970s – with the arrival of cryptography – had no known application. In times of stress, Venkatesh runs to clear his head and relax. If he can still think, he explains, then he runs a little bit faster. “A lot of the time, when you do Math, you’re stuck. But you feel privileged to work with it. You have a feeling of transcendence and feel like you’ve been part of something meaningful,” he reflects.